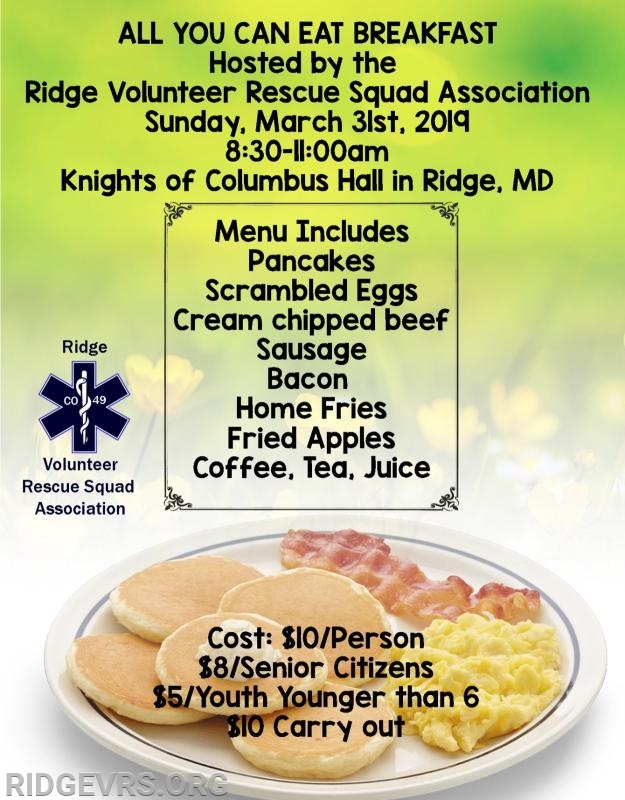 Come on out and enjoy a Delicious breakfast prepared by the Ridge VRS Association members. This is held at the Knights of Columbus Hall. Dine In or Carry Out! Hope to see you there! Thank you always for your support!